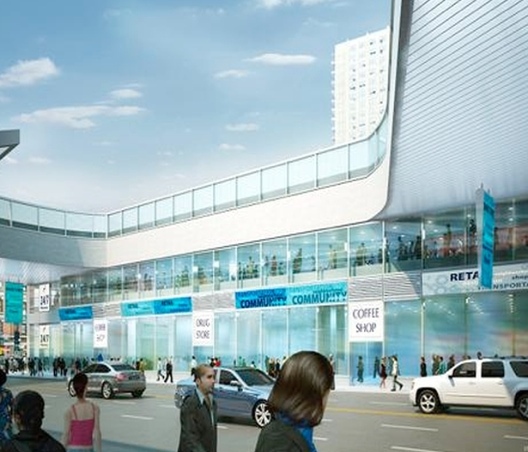 We know that downtown has somewhat of a monopoly on slick renderings, so we were pretty pleased when we read about $3.2M added to the already pledged $179.8M aimed at modernizing the George Washington Bridge terminal at West 178th Street in Washington Heights. The joint effort by the George Washington Bridge Development Venture and the Port Authority was delayed for three years, but now they’re shooting for a 2013 completion date. They hope to create a total of 120,000 square feet of retail space, putting 746 people to work. Officials say some businesses have already signed leases for a handful of the spaces. Alas, they are not naming names just yet.